The Interfaith Scholar Weekend in 2019 will be held March 1-3, 2019, with our featured scholar being the Rev. 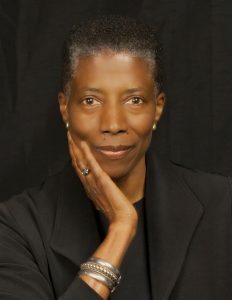 Dr. Thandeka, a Unitarian Universalist Scholar. Her topic will be: ““Liberal Faith’s Death and Resurrection in 21st Century America”. Since 1998, the Fresno Interfaith Scholar Weekend has brought a renown scholar from one of the represented religious traditions to Fresno for a weekend of lectures and events on topics of interest to interfaith audiences. Each year, Interfaith Scholar Weekend is a remarkable experience in adult religious education, offering not only the opportunity to hear the lectures, but also to engage in dialogue both with the scholars and other participants. During the weekend participants also gain spiritual enrichment from learning and worshiping together with people from varied faith communities, for example, joining in Friday evening prayers at the Islamic Cultural Center or Torah study at Temple Beth Israel. The Scholar preaches at one or more of the participating Christian churches on Sunday morning, giving the opportunity for participants to experience that congregation’s worship as well. Started by Community United Church of Christ and Temple Beth Israel in 1998, the Fresno Interfaith Scholar Weekend now includes sponsors from a wide variety of religious traditions, including Muslim, Sikh, Lutheran, Episcopal, United Methodist, Catholic, and Unitarian faith communities. Still other faith communities and institutions participate as co-sponsors. Read more about Fresno Interfaith Scholar Weekend here.